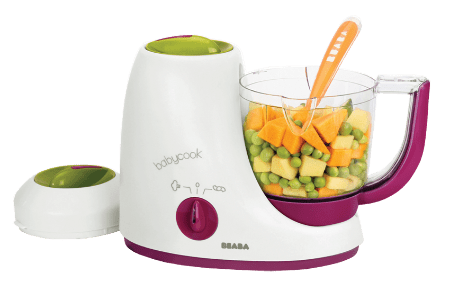 Welcome to the Beaba Babycook Pro Giveaway! February is Health & Fitness month at PishPoshBaby, so celebrate a healthy 2015 by joining their conversation. Sign up for the PishPoshBaby newsletter so you get all the latest health and fitness product news and reviews, twitter chats, info graphics, and much more. The dream of PishPoshBaby was born out of a desire to find the more reliable baby products and advice available to real moms just like you. Their high-quality store supplies facts and advice to parents who are completely lost in the whirlwind of baby gear. Babycook® Pro makes up to 4.7 cups of food in a sleek, patented countertop appliance that steam cooks, blends and reheats all-in-one, in 15 minutes or less. Refrigerate or freeze leftovers, then simply defrost and reheat right in Babycook® Steam cooking locks in vitamins and nutrients, a multi-purpose mixing blade provides just the right texture, the timer has an audible alert to tell you when meals are ready, and all of this with total one-handed operation. This appliance is loaded with features that make any parent a “pro” in baby food preparation. Go here to see a list of other great products PishPoshBaby is highlighting for Health & Fitness month! 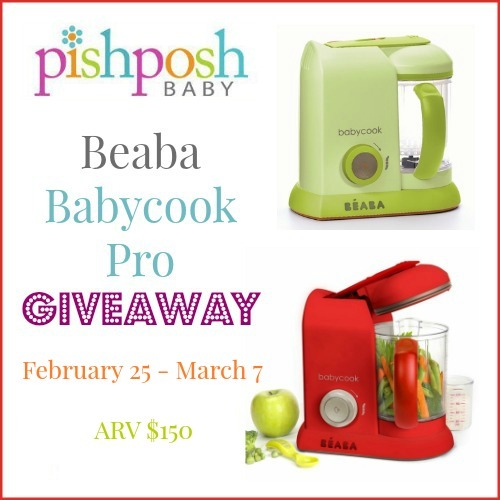 One lucky reader will win a Beaba Babycook Pro from PishPoshBaby! Giveaway ends March 7th at 11:59pm EST and is open to US residents, ages 18+. Just enter below on the Rafflecopter form. Good luck! The participating bloggers were not compensated for this post and are not responsible for prize fulfillment. Please contact erin(at)themamaexperience.com with any questions or to have your product featured in a similar giveaway event. Im excited to win it because my baby is starting solids in a few months! Nothing like a homemade meal! I’m super excited to win the Beaba Babycook Pro because we would love to make our own baby food! We’d love to be able to know exactly what’s going into our baby’s food and to be able to use local, organic ingredients.